Remember that time you nailed a last-minute sale; beat out the competition; and got home in time to have a beer and watch the game? Yeah, we want to hear about it. Send us your memorable Hamilton Caster stories and you'll have a chance to win a $100 American Express gift card. Four winners will be contacted via e-mail and announced in a future edition of The Revolution, along with their stories. Our ad agency, Ideopia, will judge the contest. The deadline to enter is December 31, 2010. Start racking your brain for those memorable moments and send your stories to Steve Lippert, steve.lippert@hamiltoncaster.com. 40,000: The load capacity in pounds -- we're targeting with our next caster series. 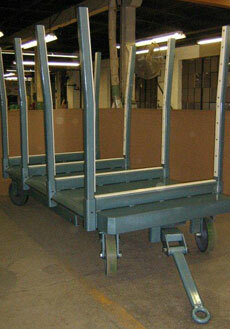 That's 20 tons PER caster, which makes our Maxi-Duty series (11.5 tons), seem downright meek. This bad boy is slated for a first quarter 2011 launch. 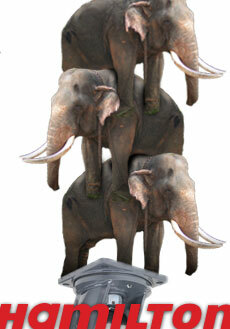 What Can You Pile on a 20-Ton Caster? Take apart an Oreo and you're left with a chocolate wafer and ice cream filling. Neither is incredibly robust on its own, but together, they form the 20th century's best-selling cookie. So, what do you call the chocolate wafer and ice cream filling together? Dynamic novelty. And all over the world now -- in every industry -- we have dynamic novelties. At McDonalds, you can eat dinner and let your kids goof off in the play area. At Wal-Mart, you can buy groceries and deposit your check -- all while sipping on a Starbucks coffee. In the book The End of Overeating, former FDA Commissioner Dr. David A. Kessler details the American industry, and how food is developed and marketed directly to the American public. One of his examples features Robert Smith, who said that "no single aspect of food -- neither one ingredient nor one sensory property -- gets us to like something," while working at Nabisco. And to think, Oreos really did change marketing. Do you have dynamic novelties in you business? Think about how by combining opposing forces can improve your business. 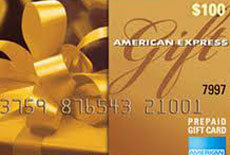 Read more on the American Express OPEN Forum. We recently built eight trailers for a customer to haul steel piping in an automatic guided vehicle (AGV) trailer system. The trailer, rated for loads up to 7.5 tons, is 5-feet wide by 12-feet long with a smooth steel deck welded over a 6-inch channel frame. To reduce the room needed to turn, the trailer is equipped with our four-wheel auto-steer system. As the front wheels turn, the rear wheels also turn, which greatly reduces the turning radius. The auto-steer design also maintains the wheels under each corner, which keeps the trailer platform stable. For less friction when loading/unloading the trailer, strips of white the white ultra high molecular weight (UHMW) polyethylene are fastened to each of the risers. Eight removable stakes of 3-inch square tubing, extend 6 feet above the deck. A heavy-duty pintle hitch is welded at the rear. The trailer rolls on 16-inch by 4-inch Duralast® Polyurethane wheels equipped with 1-1/4-inch precision ball bearings. Round About: Oreos Changed Marketing. Here's What You Didn't Know. 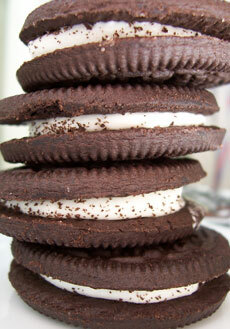 More than 491 billion Oreos have been sold since 1912. Originally, Oreos were mound-shaped before going round in 1916. Oreos became China's best-selling cookie in 2006 after altering the recipe to have lower sugar. Oreo revenues topped $1 billion for the first time in 2007. 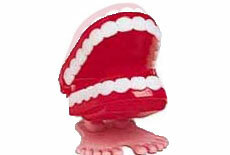 Sometimes salespeople just talk too much. Maybe it's nerves. Maybe it's the need to lecture a customer to death. Or maybe they think they need to say their whole pitch, even if the customer is yawning and twitching. Ditch the pitch. Listen to your customer and work off their interests. Hyping and trying to sell a product you don't fully understand doesn't even sound like a good idea. Yet, many salespeople do it. Lack of knowledge lowers your credibility and you'll have to pawn work off to someone else to explain the product. Know your products inside out and give your customers the true scoop. Good salespeople operate like the CIA. They have contacts on the inside of their accounts to feed you the dirt behind closed doors. Their contacts defend you when you're not around, and they dispel those untrue rumors. It's all about who you know, so start getting to know everyone. For more deadly sales sins, see the Harvard Business Review. Q: What percentage of the waste generated in our factories is recycled? A: More than 95 percent! &http://beta.hamiltoncaster.com/News/Newsletters/News-Archive/The-Revolution-December-2010#169; 2010 Hamilton Caster. All Rights Reserved.